When attending a funeral, you may have been given a memorial program with a picture on the front, and inside, a verse and the name of the deceased along with his or her birth and death dates, and related funeral information. This is our modern day equivalent to the mourning card. 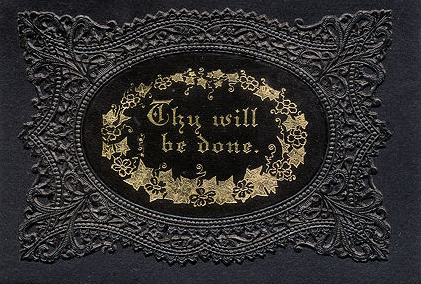 Mourning cards became popular during the early 1800s. 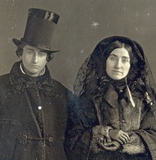 Victorian mourning customs were comprised of rituals and strict rules of etiquette. 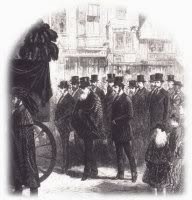 The symbols of mourning were carefully observed, and were used to denote the social standing of the family. But those of poorer means still tried to “keep up with the gentry” when it came to mourning and funeral rituals, regardless of the cost. Funeral invitations were used during the 17th and 18th centuries. The cards were sent to notify family and friends when the funeral was to be held. These invitations were very important socially. 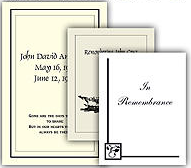 A funeral invitation could actually be used like a ticket, to gain admittance to a funeral, especially if it were for someone important or well known. 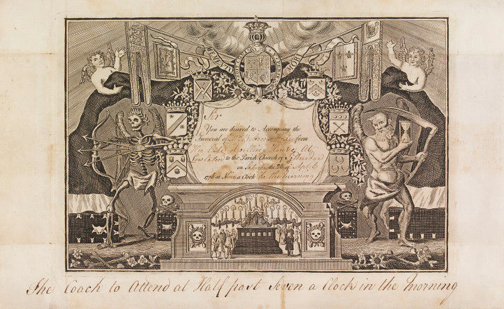 The funeral invitation was wood engraved, and featured the typical symbols of death found on tombstones: the hourglass, Father Time, the Grim Reaper, or crossed bones. Wealthier families might provide copper-engraved funeral invitations. 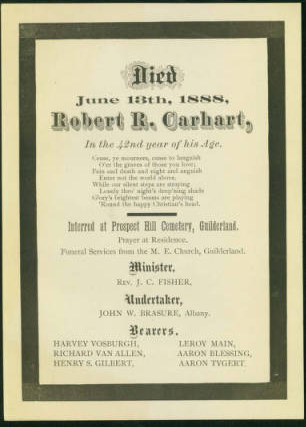 The invitation also contained details about the departed, along with the time, date, and location of the funeral. 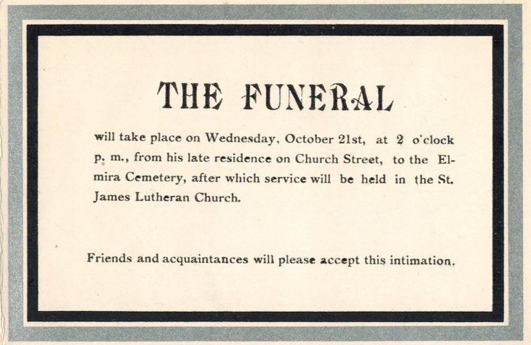 By the Victorian era (1830 - 1901), the funeral invitation was no longer popular. 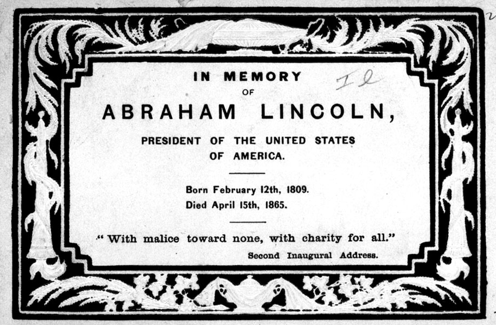 Instead, small mourning or memorial cards were sent out after the funeral, usually to those who could not attend. Information about the funeral might also be included. 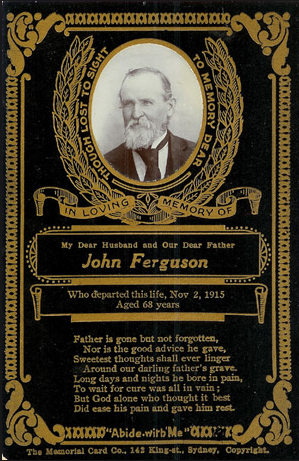 Most mourning cards were 3 by 4.5 inches, constructed from heavy card-stock, and made up of intricate, formal designs that were cut and embossed. Symbolism was very popular during the Victorian Era, and again, those gravestone symbols could be found decorating mourning cards. 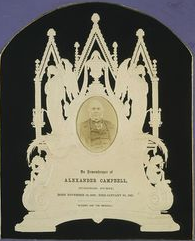 A heavy black border usually framed the card, which included the birth and death dates. Other pertinent information about the deceased might be listed, along with a prayer, poem, or sentimental words of remembrance. 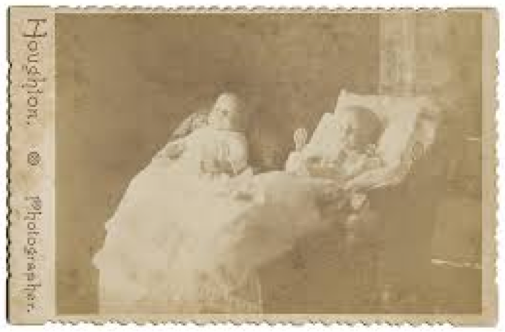 If the deceased were a child or young adult, many times a photo, usually taken after death, would be used. Those with wealth might opt for a larger mourning card, measuring about 4 by 6 inches, and lettered in gold, or embossed with intricate artwork. But regardless of size, it was expected that the mourning card would be saved and placed in an album, or hung in a frame as a keepsake. 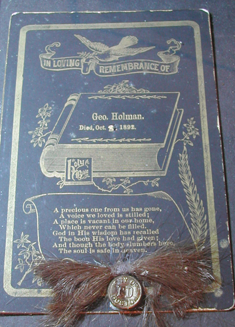 Mourning cards belonging to family members might also contain a lock of the deceased’s hair, or a button from a uniform. These items would be included in the framed presentation. 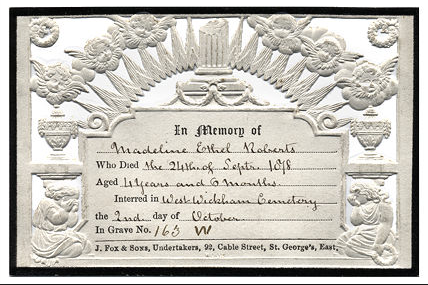 By the beginning of the 20th century, the memorial card had been folded, with a scene on the front, and the deceased's name and information printed inside. 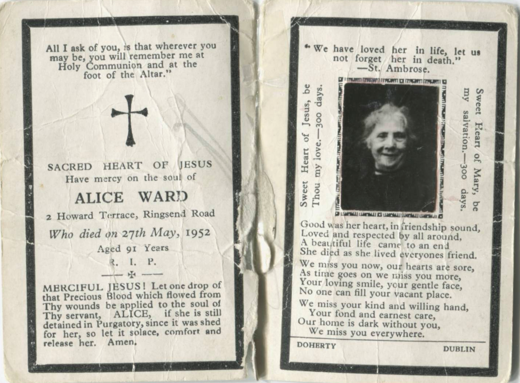 As this type of card became popular, all four sides contained information about the deceased, and included poems, photos, and artwork. 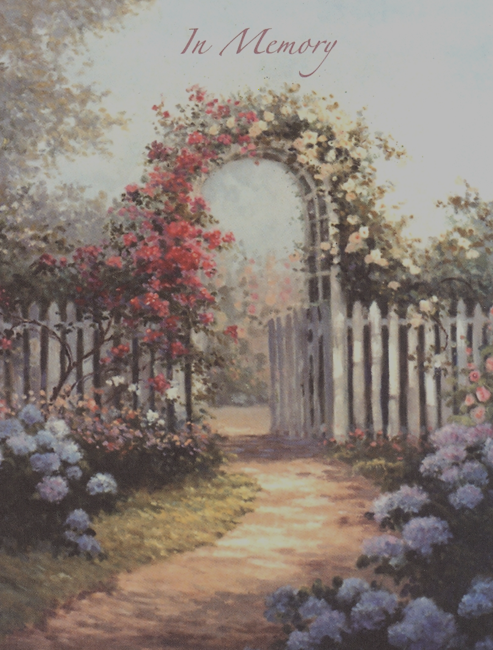 Today, memorial cards come in a vast variety of choices: religious, landscapes, hobbies, sports … Poems and remembrances can be selected from thousands that are available, or a personal remembrance can be written. 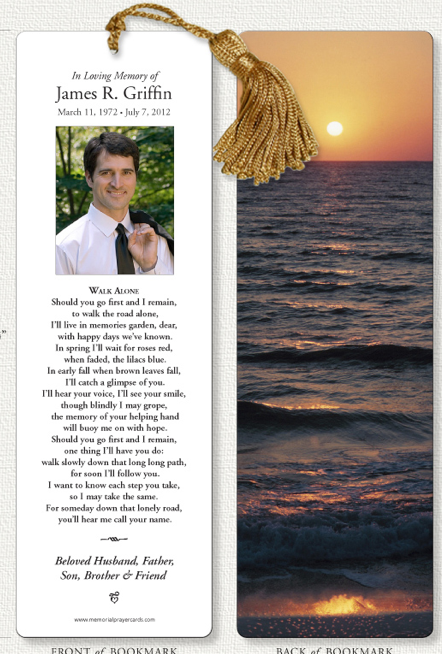 Cards may be given out at the visitation, vigil, or wake, or be presented at the funeral or memorial service. Today's memorial items also include bookmarks, key rings, memorial car magnets, and memory books. 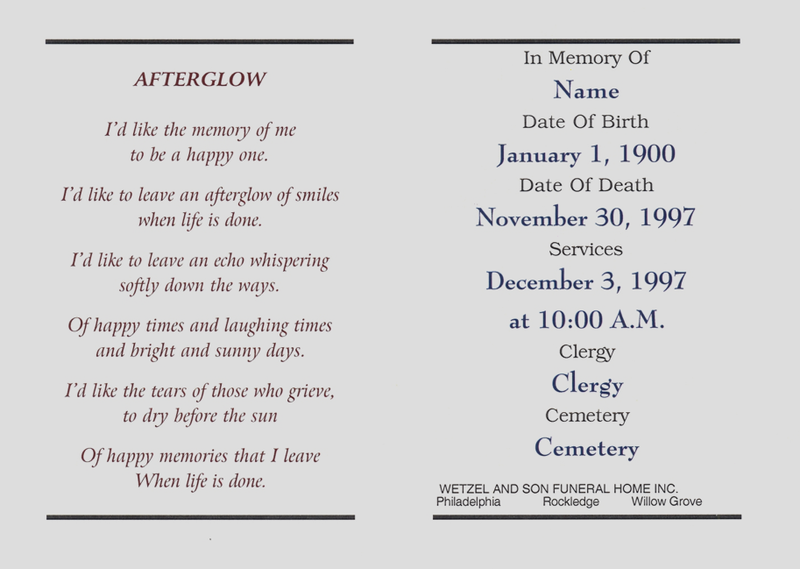 Funeral homes may offer these remembrances, but the family can elect to have them printed at a local printing shop, order over the internet, or create them at home on the computer. Call them mourning cards or memorial cards; these keepsake remembrances are part of a funeral custom we continue to practice - a traditional way in which we offer a lasting tribute to those we love. good article on mourning cards - I reposted. Thank you, Dana! I appreciate it. Jen, they sometimes turn up in antique stores, but more likely at auctions where they may be tucked in old books and bibles.